Two current issues, the Black Lives Matter movement and the controversy over the legacy of Woodrow Wilson, vividly bring to mind the social witness of Francis J. Grimké a century ago. A Presbyterian pastor in Washington, D.C., Grimké struggled for human rights for black Americans, for an end to lawless lynching, and against the racist domestic policies of President Woodrow Wilson. 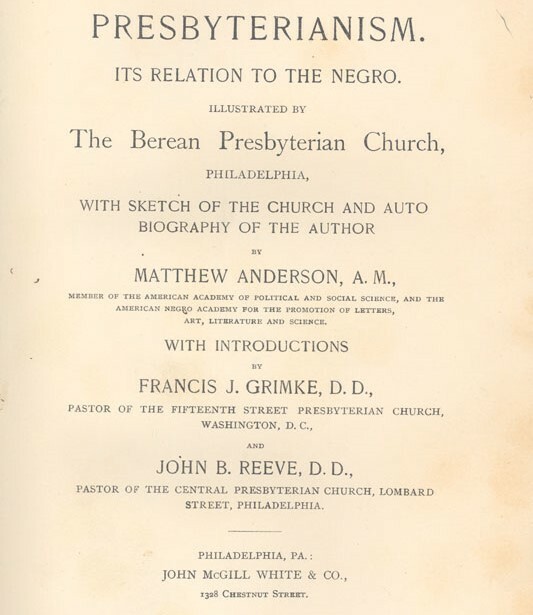 Grimké grounded his positions in the Bible, in the best of Reformed theology, and in his experience of ministry among African Americans in the nation’s capital. His eloquent expressions of faith and unrelenting determination should give us courage and wisdom in our time, when racial tensions are fraying the fabric of American society. Born in 1850 into slavery on a plantation near Charleston, South Carolina, Francis Grimké was the second son of white planter Henry Grimké and Nancy Weston, an enslaved black woman. 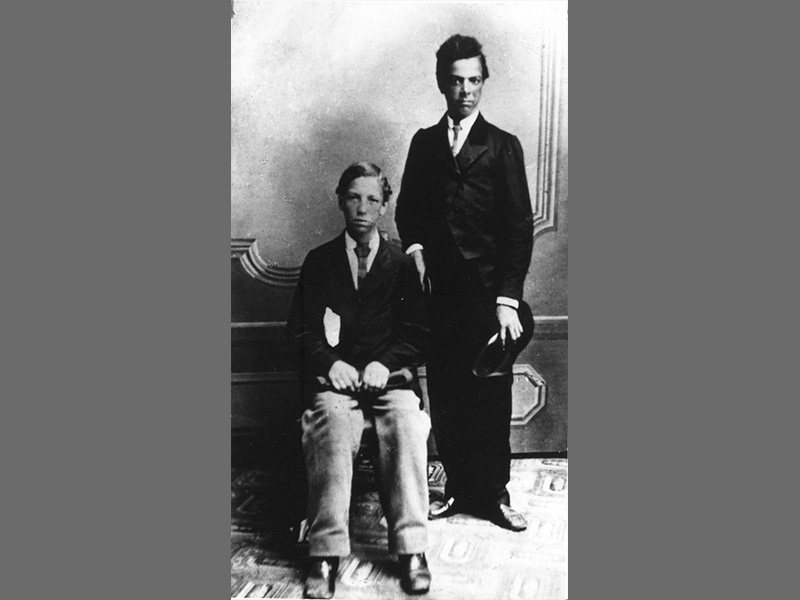 Francis and his older brother Archibald, though promised freedom within the Grimké family, endured the deprivations of slavery until the Confederacy collapsed. Abolitionist teachers in Charleston observed the extraordinary talents of the Grimké brothers and sponsored their admission to Lincoln University in Eastern Pennsylvania, at the time a Presbyterian school for African Americans. 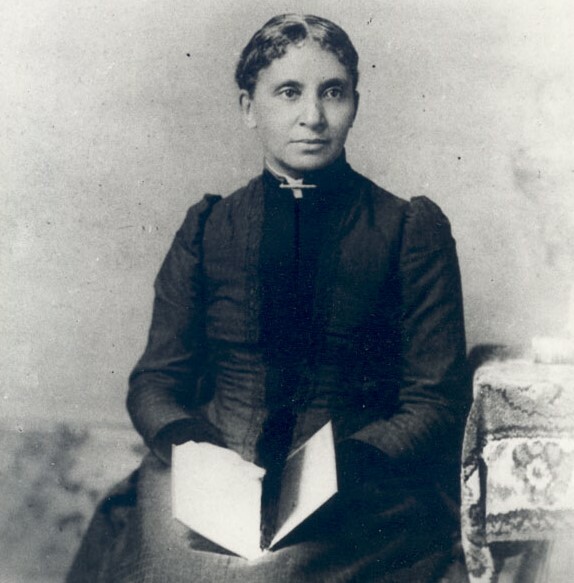 When abolitionists Angelina and Sarah Grimké learned of their nephews Francis and Archibald, they struggled to support the young men and began introducing them to their colleagues in the Northeast. After studying law, Francis enrolled at Princeton Seminary, where he excelled and found vocation in the Presbyterian ministry. Meanwhile, Archibald graduated from Harvard Law School and began a formidable career in Boston and Washington as an attorney. The Grimké brothers provided mutual support for one another in such endeavors as the Niagara Movement and the National Association for the Advancement of Colored People, where Archibald long served as president of the Washington, D.C. chapter, the largest in the NAACP. Francis Grimké was ordained to serve as pastor of the District’s Fifteenth Street Presbyterian Church, home to a number of the “black bourgeoisie” who epitomized African American “status without substance” in the Gilded Age, according to E. Franklin Frazier. Except for a recuperative interlude at Laura Street Presbyterian Church in Jacksonville, Florida, Francis would go on to serve Fifteenth Street until he submitted his retirement notice in 1923, and even afterward until his death in 1937. When Woodrow Wilson was elected president in 1912, Francis Grimké wrote the Washington newcomer a friendly letter. He reckoned that Wilson could be a powerful ally in fighting racism. The Expositor had just reprinted Wilson’s address on “The Importance of Bible Study.” Grimké had read it and wrote of his relief that a Reformed Christian would be leading the nation. Not a full year later, after Wilson had extended the "color line" in governmental departments and forced black Americans—some doubtless members of Fifteenth Street Presbyterian Church—to lose valued positions in the civil service, Grimké wrote a very different letter to the president registering “an earnest protest.” He was deeply disappointed in Wilson, but he was not really surprised that a Southern-raised Democrat of that era would stoop to support racism and even to extend its repressive grip on America. Having extended a gracious and hopeful welcome to Wilson, Francis Grimké became an outspoken critic of the president’s hurtful policies toward African Americans, especially in the District of Columbia. A century later, in an America again confronting the evidence of racial injustice, his example is one that can inspire new generations of reformers inside and outside the Church. Louis Weeks lives in Williamsburg, VA, and is a retired President and Professor of Historical Theology at Union Presbyterian Seminary in Richmond, VA. A former PHS Board Director, he recently served as Board Chairman. Rev. Weeks wrote about Francis Grimké in “Francis J. Grimké, Racism and War” in the The Journal of Presbyterian History, 51:4, Winter, 1973, pp. 471-488. For information about ordering The Journal, click here. Become a PHS Fellow-level member and gain access to 100 years of The Journal here. Carter G. Woodson, The Works of Francis J. Grimké, four volumes. Washington, D.C.: The Associated Publishers, Inc., 1942. 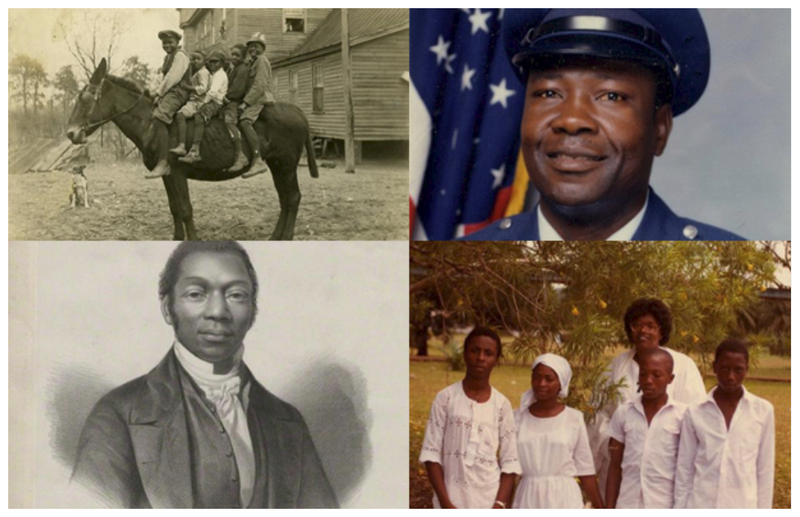 D. Bruce Dickson, Jr., Archibald Grimké: Portrait of a Black Independent. Baton Rouge: Louisiana State University Press, 1993. Henry J. Ferry, Francis James Grimké: Portrait of a Black Puritan. PhD dissertation. Yale University, 1970. Mark Perry, Lift Up Thy Voice. New York: Viking, 2001.